The brainchild of former Deep Purple guitarist Ritchie Blackmore, Rainbow quickly developed into one of the '70s most successful heavy metal bands behind charismatic frontman Ronnie James Dio. Together, the duo would produce a string of acclaimed albums which are still considered classics of the genre. But the group would change their musical approach numerous times following the singer's departure, eventually confusing and alienating much of their audience. Releasing eight albums during its decade-long run, the band finally came to an end when Blackmore departed to rejoin his old Deep Purple comrades in a full-fledged reunion in 1984. And while the impact of Rainbow's influence has faded with the intervening decades, theirs was a crucial chapter in the development of heavy metal and hard rock. Disillusioned and fed up with the chaotic state of Deep Purple in the mid-'70s, guitarist Ritchie Blackmore made the stunning announcement in May of 1975 that he was quitting the group he had founded and led for over seven years in order to start from scratch. Teaming up with up-and-coming American vocalist Ronnie James Dio, Blackmore built Rainbow around the singer's former band Elf, minus their guitarist David Feinstein. Featuring bassist Craig Gruber, keyboard player Mickey Lee Soule, and drummer Gary Driscoll, the group's 1975 debut Ritchie Blackmore's Rainbow was quickly embraced by European fans and yielded their first hit single, "Man on the Silver Mountain." Blackmore and Dio were dissatisfied with the album's sound, however, and decided to revamp Rainbow (by then sufficiently established to do without Blackmore's name) by drafting bassist Jimmy Bain, keyboard player Tony Carey, and former Jeff Beck Group drummer Cozy Powell. 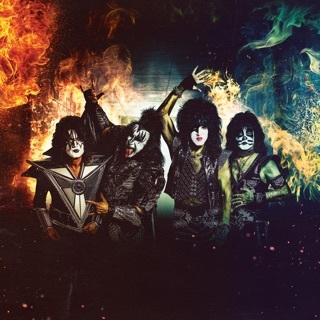 It was with this lineup that they entered Musicland studios in February 1976 to record the landmark Rising opus -- once voted the greatest heavy metal album of all time in a 1981 Kerrang! magazine readers' poll. Capturing Blackmore and Dio at the peak of their creative powers, Rising chronicled both the guitarist's neo-classical metal compositions at their most ambitious, and the singer's growing fixation with fantasy lyrical themes -- a blueprint he would adopt for the rest of his career. Following its release, the band embarked upon a successful world tour, culminating in a sold-out European jaunt which spawned a best-selling live album entitled On Stage, released in 1977. By the time they returned with the equally acclaimed Long Live Rock 'n' Roll album in 1978 (featuring bassist Bob Daisley and keyboard player David Stone), Rainbow had established themselves as one of Europe's best-selling groups and top concert draws. 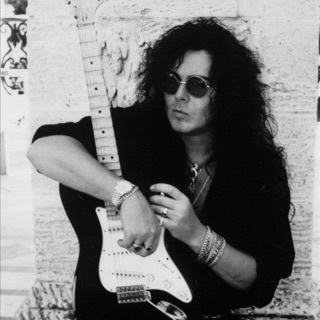 But the volatile relationship between Blackmore and Dio further deteriorated as the American-born singer became increasingly frustrated standing in the guitarist's shadow -- even in his own country, where the group was now fully committed to breaking big. To make matters worse, Blackmore had been so impressed with "Long Live Rock 'n' Roll"'s success as a single that he began to consider altering the band's sound in order to pursue a more mainstream hard rock approach (a direction which Dio wanted no part of). A chance meeting with Tony Iommi of Black Sabbath (only recently divorced for good from unreliable frontman Ozzy Osbourne) helped the singer make up his mind, and Dio officially quit Rainbow in early 1979 to join the Sabs. Finding a suitable replacement for the charismatic singer proved a serious dilemma, and when Blackmore eventually recruited former Marbles vocalist Graham Bonnett, his decision came with an all-around retooling of Rainbow's sound, not to mention, once again, the band's membership, which now included former Deep Purple cohort Roger Glover and keyboard player Don Airey. With the release of 1979's Down to Earth, gone were the mystical themes and epic metal compositions, replaced by a more streamlined commercial hard rock style. But despite containing two of Rainbow's biggest singles, "All Night Long" and "Since You've Been Gone" (the second was written by former Argent singer Russ Ballard), the album sputtered in stores, selling far fewer copies than the group's previous Dio-fronted efforts. 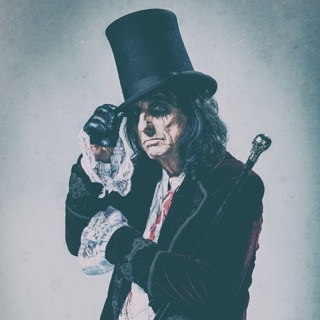 Bonnett also failed to meet Blackmore's lofty expectations on-stage, and after a single, disastrously drunken performance at the inaugural Castle Donington Monsters of Rock Festival in the summer of 1980, the singer was unceremoniously given the boot. Once again strapped for a vocalist, Blackmore found his man in American singer Joe Lynn Turner, who along with new drummer Bobby Rondinelli signaled a true career rebirth for Rainbow. Wishing to shed the group's overblown, Dio-associated Euro-metal sound of days past once and for all, the new Rainbow lineup was made to order for another bid at widespread acceptance in America. 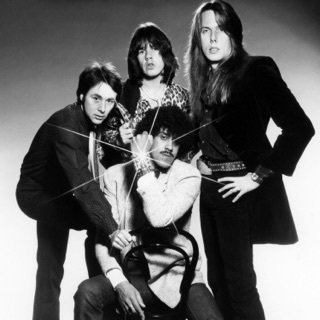 The first product of this new direction, 1981's well-received Difficult to Cure helped the group regain some of their momentum and yielded their highest-charting single ever, another Russ Ballard-penned track entitled "I Surrender." In fact, the record's title track -- a sprawling, ten-minute metallic blitzkrieg through Beethoven's Symphony No. 9 -- was the only throwback to Rainbow's highbrow metal origins. 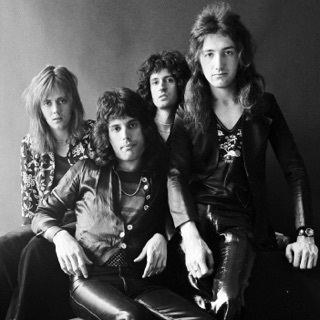 Released in 1982, Straight Between the Eyes failed to chart any successful singles, however, and the band's appeal began to nose-dive, along with Blackmore's increasingly uninventive, risk-free songwriting. 1983's Bent Out of Shape (featuring new members in keyboard player David Rosenthal and drummer Chuck Burgi) fared no better, and after accepting the fact that Rainbow's best days were behind them, Blackmore finally relented and took part in the long-rumored and hoped for re-formation of Deep Purple's classic Mark II lineup. Typically, the guitarist refused to go quietly, and Rainbow were backed by a full symphony orchestra for their final March 1984 performance in Japan. A posthumous live release, entitled Finyl Vinyl, was compiled in 1986, and though he would briefly resurrect the Ritchie Blackmore's Rainbow moniker after quitting Purple for the second time in 1994 (even recording an album called Stranger in Us All), this incarnation would be short-lived. Blackmore was later heard performing with his purported fiance Candice Night in the medieval folk duo Blackmore's Night.